In the first half of our Know Your Envelopes series last month, you learned about different window types and the materials used to make them. This time, let’s talk about seals (no, not the cute ones you find at the zoo) and how to pick the best one for your direct mail campaign. Choosing the proper adhesive for your envelope is important for many reasons, but at the end of the day it all boils down to the two C’s: confidentiality and confidence. Bill statements, reimbursements and documents containing health information are typically pieces of mail that we wouldn’t want someone else to open – having a proper adhesive for these envelopes ensures confidentiality. On the other hand, sending promotional mail that isn’t sealed properly can lower our confidence in the security and effectiveness of that company. This is doubly true for businesses where both of these are combined – you wouldn’t want to receive a promotional letter from a local bank, for example, if the letter itself didn’t come across as secure. Remoistenable seals: These seals are typically made of a blend of dextrin (modified potato or corn starch) or synthetic resin emulsion and are the top choice for many due to working well with inserting machines. Latex seals: Latex seals, made of natural rubber latex, only adhere to themselves, allowing for a very strong and consistent envelope seal. 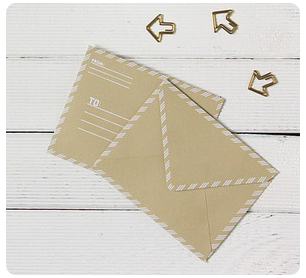 These envelopes are great for confidential letters in which a strong seal is needed. Unlike remoistenable seals, however, latex seals have a shorter shelf life if exposed to heat, UV light or dust. Pressure sensitive seals: These types of envelopes are made with either a water-based or hot melt adhesive that allows the envelope to seal with only the application of pressure. The tacky adhesive is covered by release paper until adhesion is needed. Humidity resistance: A good envelope seal will not be affected by changes in temperature and pressure during storage and transport. Inserting performance: In order to have a mail campaign run smoothly and efficiently, front seals and inserting equipment need to get along! A good seal will lay flat and avoid excessive curling so that it may run through inserting, postage and sealing machines properly. Resistance to change during printing: Some printing processes use high temperatures that could cause envelopes with some adhesives to become too dry and not respond to the moisture needed for a proper seal. On the other hand, moisture can also be created during some processes, such as laser printing by hot fusing rollers. This moisture could cause some adhesives to start working earlier than needed. Be sure to do your research ahead of time and select an envelope with an adhesive that best fits the equipment and processes you will be using. At Midwest Direct, our team of experts can help you determine what type of envelope is best for your direct mail needs. Contact us today to get started!